Netanyahu says that UN decision to recognize "Palestine" is "a meaningless decision that will not change anything." Prime Minister Binyamin Netanyahu’s Office responded on Thursday to the speech given by Palestinian Authority Chairman Mahmoud Abbas to the UN General Assembly, as well as to the UN’s passing of the resolution to give “Palestine” the status of a non-member observer state. "The world watched a defamatory and venomous speech that was full of mendacious propaganda against the IDF and the citizens of Israel. Someone who wants peace does not talk in such a manner," said the statement about Abbas’s speech. In response to the passing of the proposal, the Prime Minister’s Office said, "This is a meaningless decision that will not change anything on the ground. Prime Minister Benjamin Netanyahu has made it clear that there will be no establishment of a Palestinian state without a settlement that ensures the security of Israel's citizens. “He will not allow a base for Iranian terrorism to be established in Judea and Samaria, in addition to those that have [already] been established in Gaza and Lebanon,” said the statement. “The way to peace between Jerusalem and Ramallah is in direct negotiations, without preconditions, and not in one-sided UN decisions. By going to the UN, the Palestinians have violated the agreements with Israel and Israel will act accordingly." Netanyahu also spoke with the Israeli ambassador to the UN, Ron Prosor, and praised the latter's speech to the UN General Assembly. "I am proud of you. You presented the truth regarding the State of Israel. 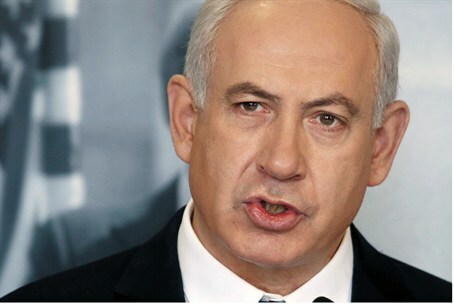 This was a speech of facts, as opposed to Abu Mazen's venomous speech," the Prime Minister told Prosor.